The Extech SDL350 Hot Wire CFM Thermo-Anemometer Datalogger features a telescoping probe designed to fit into hvac ducts and other small openings. stores 99 readings manually and 20m readings via 2g sd card. 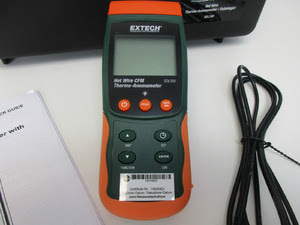 sell extech sdl-350 hot wire cfm thermo-anemometer/datalogger at economical prices and look for other products from the anemometer category of extech brands. free shipping for the Jakarta area and can be sent throughout Indonesia. get only at darmatek online store, online shopping is easy and safe. 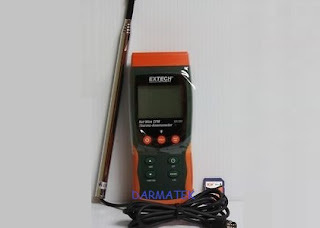 Contact our sales : +6281283804273, wa : +6281932632003 for price information about extech sdl-350 hot wire thermo-anemometer/datalogger.